It's been said that predictability is not how things will go, but how they can go. 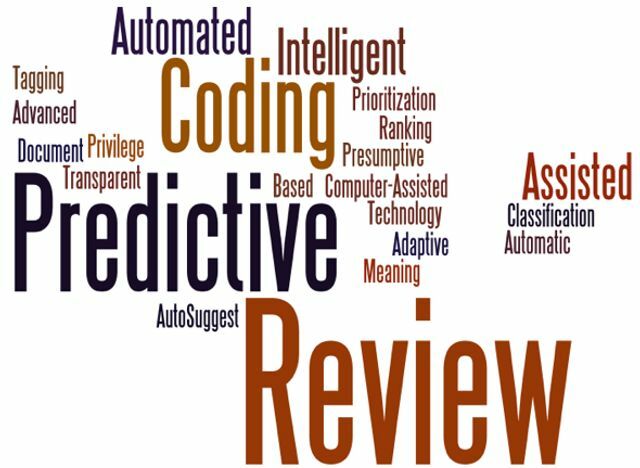 There's been growing interest on the part of the UK Courts as to the potential for deploying electronic "predictive coding" software in heavyweight disclosure exercises and it has to be said that the early signs are good. Whilst old news in the US where it's been in use since 2013, we saw the first-ever judicial approval for its use in February, in Pyrrho Investments v MWB Property. This was granted by consent between the parties, given the enormous expense which would otherwise have been incurred, manually searching through the three million documents involved in that case. Traditional disclosure exercises require the collation of an often vast number of documents from the clients before running keyword searches and a date range, then assembling a crack and rather expensive team of lawyers, to undertake a painstaking review. By comparison, predictive coding amounts to a combination of technology, legal know how and statistics. It involves taking a modest, random but statistically relevant sample of data and having it reviewed by an appropriate expert, perhaps the partner with overall conduct of the case. This exercise can then be used to create a predictive coding model. To place this in context, the cost in Pyrrho of manually searching the documents would have been several million pounds. That of predictive coding was estimated to be somewhere between £198,000 and £490,000. The principle won't apply to every case, as the Court will need to be satisfied that the method is appropriate by reference to a series of factors, including the need for time to review the outcome and consider other disclosure methods, should this prove unsatisfactory. However, the application of predictive coding has now been extended further in the case of Brown v BCA Trading. Here, the parties were unable to agree but the Court found that it was nevertheless appropriate for predictive coding to be applied, where the saving achieved could be in excess of £200,000. Crucially, the Court found that there was no reason to suspect the exercise would or was likely to result in documents being missed and that ultimately, the need for the exercise to be conducted in a proportionate manner was key. Now, who could have predicted that?